My new floors look fabulous and it was hassle free! I will definitely use Quicksilver Floor again for all my hardwood flooring needs. They did such a good job! It was a pleasure working with you and your staff. 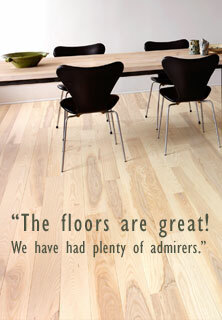 Confidently and without reservation I recommend Quicksilver Floor.